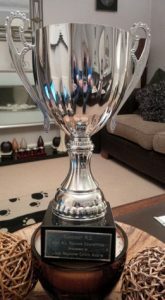 Trophies are awarded annually at the club’s presentation evening and are awarded to First Claim club members unless otherwise stated. 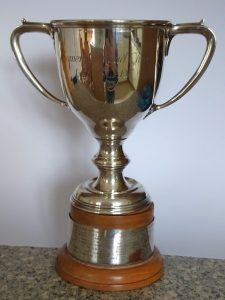 Current and past winners can be found under club documents. 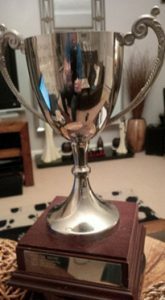 The cup is awarded by the committee to the club member considered most deserving, based on their performance and efforts during the season. It provides a lasting reminder of Peter’s passion for cycling, his racing achievements and the contribution he made to the club over many years. Awarded by the committee to a club member in recognition of the contribution they made to the club during the year or deserving through special achievement. 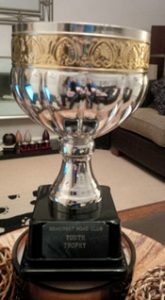 The trophy was originally presented by The Somerset RC Supporters Club for Best Runs Attendance in 1949 and was awarded up until 1963. After a break in being awarded, it was re-assigned to Person of the Year in 2003. 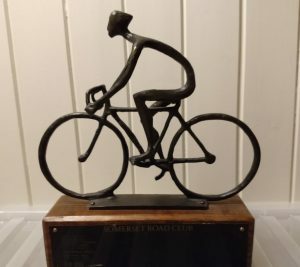 First awarded in 1993, the trophy is awarded by the committee to a local rider whose achievements in road racing, time trialling or wider cycling endeavours are considered to be the most deserving of recognition. As such, it may be awarded to any any rider from the local area, including those from other clubs. 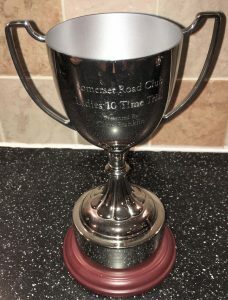 Awarded to the club member recording the fastest 10 mile Open Time Trial. Winners include two members posting sub 20 minute rides. Darren Webb riding 19:36 on the S26R/10 Honiton course in 2018 and Dean Robson riding 19:41 in 2015, when he finished second in the Welsh Championships and 19:42 in 2010. The trophy is in memory of those who lost their lives in World War II and dates back to 1947. Awarded to the club member recording the fastest 25 mile Open Time Trial. The trophy, provided by founding member Vic Dight, dates back to 1947 when it was won by J. Withers with a time of 1:04:19. 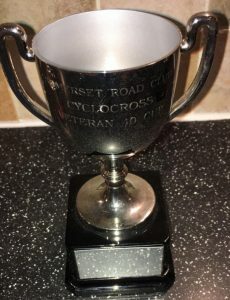 In more recent times, two club members have won the trophy with sub 50 minute rides, Dean Robson with 48:03 in 2015 and Veteran Mark Brock with 49:28 in 2018, both rides on the Glynneath course in South Wales. 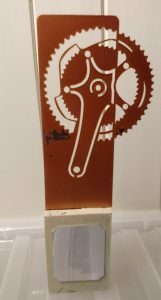 Awarded to the club member recording the fastest 50 mile Open Time Trial. 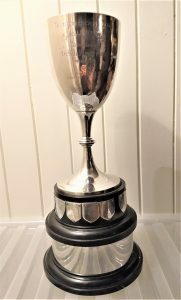 The trophy was presented to the club by former club chair Tom Cox, a prolific time trialist who has won his age category in the 50 mile CTT National Time Trial Championships. Dean Robson is the fastest winner of the cup, posting 1:49:04 on the R50/3C South Wales course in 2014. Awarded to the women club member recording the fastest 10 mile Open Time Trial. 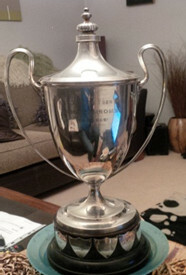 The trophy was presented to the club by former racing and Time Trial Secretary Clive Franklin. 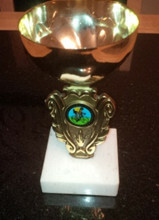 Small cup awarded to the women club member recording the fastest 25 mile Open Time Trial. 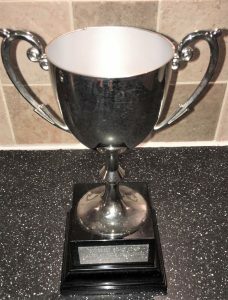 Awarded to the club member recording the fastest average speed over 2 x 10 mile, 2 x 25 mile and 1 x 50 mile Open Time Trials. Times must be recorded in all of the required events to be eligible. The average speed is determined by averaging the five average speeds shown on the CTT website. 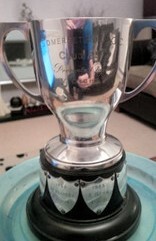 Presented to the club in 1957, it’s awarded to the club member based on their performances in Hill Climbs. 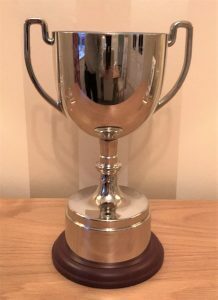 The trophy will be awarded to the fastest club member in the club’s Open Hill Climb if run and agreed in advance by the committee. 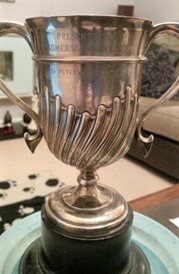 Miss Bosley was clearly a keen cyclist, having been awarded the Best Runs Attendance (now Person of the Year) trophy in 1955, 1956 and 1957, before Peter Sandy was awarded it in 1958. 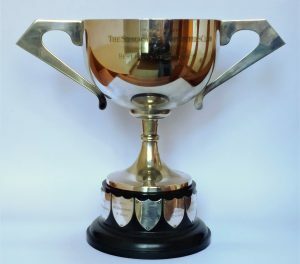 A Club evening 10 TT in August or September is designated as the club’s Time Trial Championships, with the awarding of small cups to the 1st, 2nd and 3rd fastest Men and 1st, 2nd and 3rd fastest Women. Awarded to the Elite, 1st or 2nd category licence rider with the most BC points in road and circuit races. 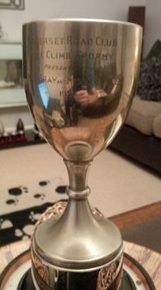 This is the club’s oldest cup and was originally presented to the Taunton Bicycle Club in 1905 by the club’s president Dr R L Meade-King. It was re-presented to Somerset Road Club in 1954 and ‘Awarded annually to [the] club massed start champion‘. Awarded to the 3rd or 4th category licence rider with the most BC points in road and circuit races. Awarded to the women club member with the most BC points in road and circuit races. 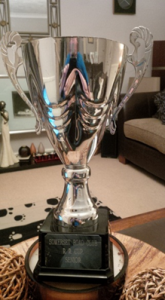 Awarded to the most successful novice in road and circuit races. Awarded to the most successful Cyclo-cross rider. A small cup is awarded for best performance in the Senior category. A small cup is awarded for best performance in the V40 category. A small cup is awarded for best performance in the V50 category. 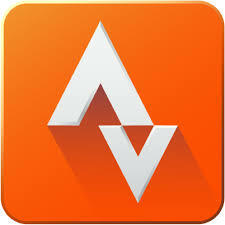 Awarded to the most successful MTB rider. Awarded to the most successful youth rider. Awarded to the most successful school age rider.